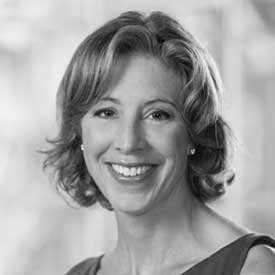 Vanessa Colella is Managing Director, Global Head of Venture Investing and Strategic Growth Initiatives for Citi Ventures. She leads strategic investments, accelerator activities and Citi-wide growth opportunities with the potential to shape the future of the company. Her investing team focuses on early-stage startups in the areas of security and enterprise IT, commerce and payments, data and analytics, and financial technologies. Before joining Citi Ventures, Vanessa ran marketing for Citi’s North American Consumer Bank for three years. She joined Citibank from U.S. Venture Partners (USVP), where she was an entrepreneur-in-residence. Prior to USVP, Vanessa was SVP of Insights and Head of NA Marketing at Yahoo, responsible for developing and executing the company’s consumer data strategy. She was previously a partner at McKinsey & Co.
She received her masters’ degrees from Columbia University and M.I.T. as well as a Ph.D. from M.I.T. 's Media Lab. A charter member of Teach for America, Vanessa is a published author and lecturer, and previously served as a research fellow at Rockefeller University. She currently serves as a member of the Corporation’s Visiting Committee for the Media Lab at MIT.